Today’s post is for women who are pregnant or planning to become pregnant soon. Carrying a precious infant can not only consume your time but your attention as well. However, don’t forget your needs and your well-being during these vital months. It’s vital to understand that the multitude of changes your body experiences during pregnancy also influences the mouth. Changes in your hormonal balance are needed for growing a new life, but they can also compromise your oral health in Lewisville during pregnancy. Your gums are especially susceptible. In fact, the American Dental Association has conducted studies that reveal a slightly increased risk of low birth weight and pre-term infants in mothers with periodontal disease. In order to keep your smile healthy, it is ideal to visit your dentist before you are pregnant. If you are already pregnant but haven’t visited a dentist in a while, we encourage you to have an exam. Your dentist can check your teeth and gums and advise you if any changes to your dental hygiene routine are necessary. If there are issues such as gingivitis, it’s a good idea to have your dentist monitor them throughout your pregnancy. If you have a dental emergency that needs to be addressed before delivery, the best time is during the second trimester. Modern x-ray methods are extremely safe but should be avoided if possible throughout your pregnancy. When you arrive for your exam, be sure to tell your dentist that you are pregnant. If your doctor has given you special instructions concerning your condition, let your dentist be aware of those recommendations. Furthermore, give your dentist a list of all the medications and vitamins you are taking. 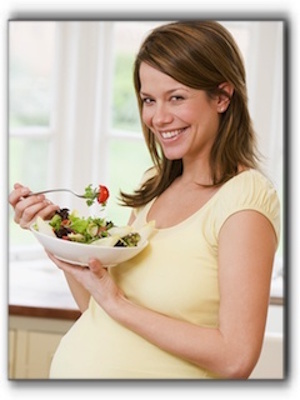 Throughout your pregnancy, be sure to see your dentist ASAP if you see any changes to your oral health in Lewisville. If you are looking for a highly regarded and understanding family dentist in the Lewisville area, call The Lewisville Dentist. We can provide you with information on gum disease treatment or oral cancer screenings. Just pick up the phone and call 214-488-5505. At The Lewisville Dentist, we provide unmatched dental care and cater to our patients who are expecting.